Here at DaCast, we’re always working to improve our video hosting and live streaming solutions. This blog is all about celebrating the powerful features we’ve been able to provide our users. These have powered great streaming experiences for our customers. 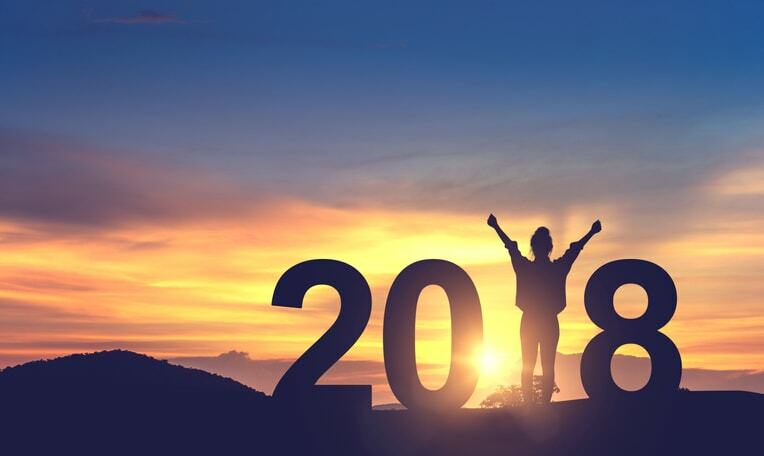 2018 was a big one for us here at DaCast, and for our users! Thanks to your trust and good streaming experiences, DaCast was listed as one of the Top 50 Online Video Companies by Streaming Media Magazine in October. Then, in November, we were honored to win Best Video Platform in the Small/Medium Business category of the Streaming Media Readers’ Choice Awards! We were also a finalist in the Education and Enterprise categories. These are huge honors. DaCast was selected as a finalist from a field of 281 companies. with over 25,000 votes cast. As these accomplishments demonstate, our customers also see the value of the work we’ve been doing here at DaCast to introduce new features to our platform. Let’s review some of the new features we introduced in 2018 now! The biggest new feature for DaCast just launched a few weeks ago! We now offer low latency HLS-based broadcasting via a feature we call HLS Direct. This end-to-end HLS solution reduces latency to 10 seconds or less. HLS direct offers low latency streaming, yet is also the most widely compatible solution. This standard is being incorporated into CMAF (Common Media Application Format), a new standard that aims to simplify streaming media protocols. HLS Direct is now available for all our Premium plans or above but you are also welcome to test it. To get started, just contact us and we’ll get you set up with low latency video hosting and live streaming solutions right away! A great feature like HLS Direct is a powerful tool. But to use it requires an HLS ingest compatible encoder. Most encoders today are compatible with RTMP ingest, which has long been the industry standard. And unfortunately, most HLS encoders are quite expensive today. DaCast now offers a FREE software encoder for end-to-end HLS live streaming. This software is based on the OBS Studio software. That means it includes a wide variety of features for mixing, production, audio levels, and other tools. Plus, it’s expandable via a variety of plugins and extensions. A free HLS encoder is an industry first. Plus, the new encoder allows you to save time. 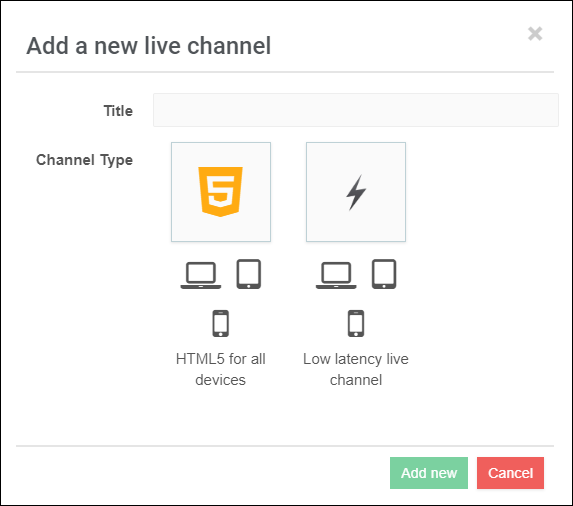 Direct ingest low latency live streaming can now be set up with just a few clicks. This is a huge advantage for DaCast customers. We are very proud of our new HLS Direct solution and our free HLS software encoder. 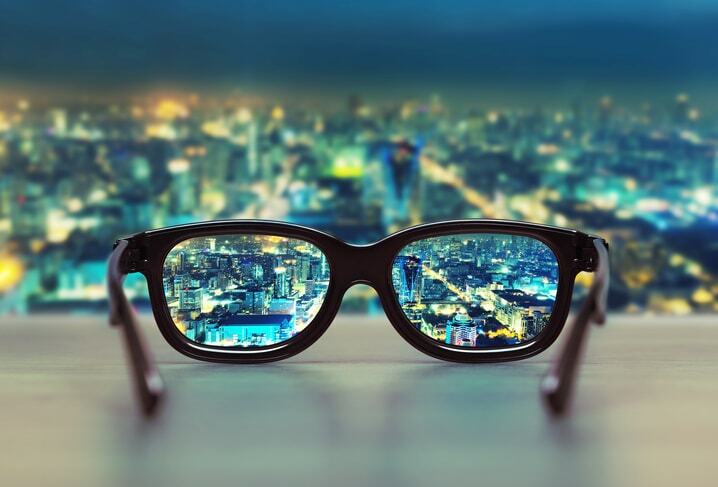 Analytics are a critical feature for many broadcasters. Taking a data-based approach to streaming video allows you to gain actionable insights. This is why a powerful and advanced analytics solution is essential for the modern video broadcaster. 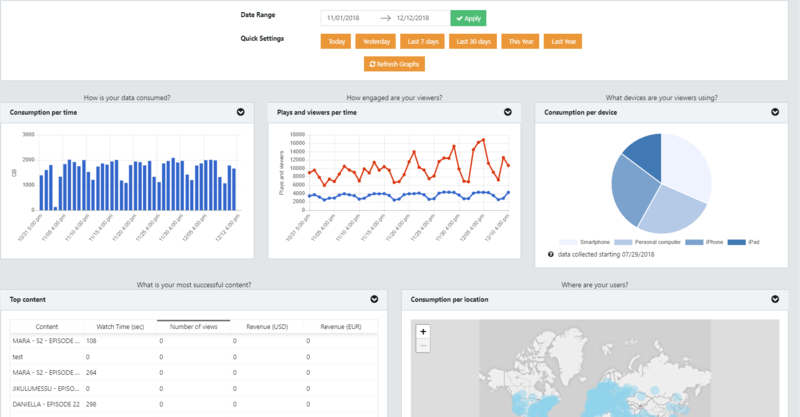 In the past year, DaCast’s launched a brand new analytics dashboard. This new interface is cleaner, faster, and more powerful than ever. Data is provided using your local time zone, and quick filters help you easily select the time range you want to look at. Data can also be easily viewed in table format, as graphs, and exported to CSV. This update also added greater support for real-time analytics. This allows you to track performance of your live streams and videos as they are in-progress! This feature is available for all DaCast users via the management dashboard. Our video player now supports super-fast direct insertion of advertising. The new process is much easier than it was before! We support pre-roll ads using any VAST 2, VAST 3, VPAID, VMAP, or Double Click ad networks and ad servers. And adding ads to any video is very simple. It only requires pasting a URL into your video settings. This makes it much easier to monetize content fast. In 2016, analysts estimated that mobile ad revenue represented a $16 billion revenue opportunity in the US alone. The next new feature the video player upgrade enables is chapter markers. Chapter markers enable you to set up chapters within longer video on-demand content. These chapters will then appear on the seek bar of the video player. When a viewer mouses over the seek bar, chapters will appear as small hash marks. When they mouse over this specific spot, the name of the chapter will appear as an overlay. The user can then click and navigate to that section of the video easily. The third new feature enabled by the video player upgrade is support for a live stream countdown. This simple feature will display a countdown to the start of your scheduled live event. This helps create a “FOMO” atmosphere surrounding your next live event. 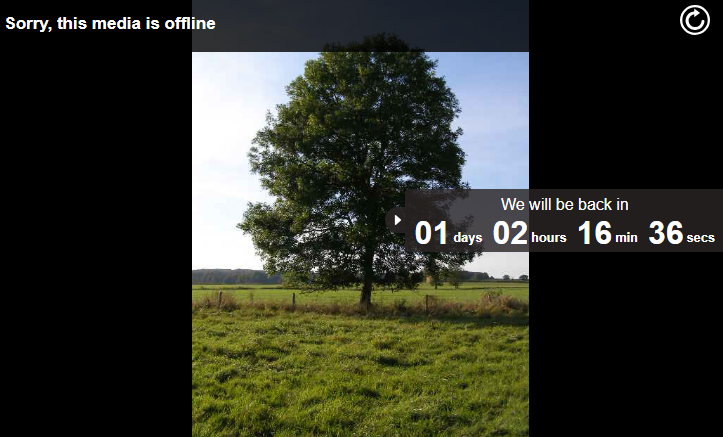 Another nice feature is the ability to set a custom “stream offline” message. This will appear whenever a stream is having an error. You can customize the message text, font style, size, color, and alignment, allowing you to send your viewers a fully custom message whenever you turn your stream offline. Finally, our new player supports a 30-minute rewind feature for live streaming. This allows viewers to quickly go back and watch content, and it should significantly improve the viewing experience for users. We’ve gotten great feedback on this feature and are proud to have this option! Despite the rising importance of video APIs, the direct user interface is still very important. That’s why we’ve also been working on streamlining the user experience for DaCast’s video hosting and live streaming solutions. 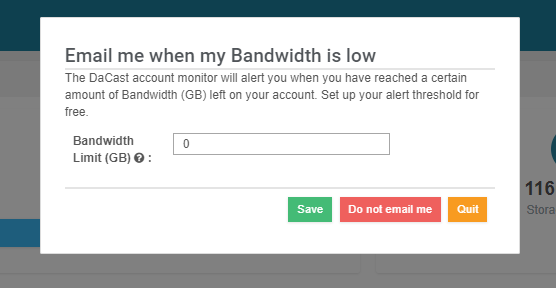 This includes a variety of new features, including email notifications for your bandwidth. You can learn how to set these up here. We’re also working on some more new backend features and upgrades. Keep an eye out for these soon! Here at DaCast, our success is built through cooperation. Beyond that, our partnerships allow us to provide a faster, easier, more successful streaming experience for our broadcasters. For example, our partnership with Akamai allows us to deliver all your content with the largest, fastest, best CDN on the market today. In 2018, we launched some great new partnerships. First, we became part of the SRT Alliance, an online video industry group dedicated to low latency streaming innovation. The technologies that we’re helping to develop at SRT will revolutionize the future of streaming video! We also partnered with Cleeng. Cleeng provides advanced paywalls for monetizing online content. Their great tools are now easier than ever to use with DaCast. We’re also in a new partnership with InPlayer, another great paywall provider. Stay tuned for more news on that front soon! These partnerships are in addition to our existing ones, such as our partnerships with most of the encoder manufacturers in the broadcast industry. In 2018, we made our pricing even better. In January, we permanently lowered our pricing by as much as 30 percent! It’s now easier than ever to access professional-grade video hosting and live streaming solutions at an affordable price with DaCast. DaCast has some of the most affordable pricing on the market. For the level of high-performance, professional features, DaCast is competitive with every other platform out there. As you can see, 2018 was a big year. With the holidays here, we here at DaCast are looking forward to time with family and some relaxation. We’ve been busy! But after a brief rest, 2019 will be here. We plan to continue to bring a steady stream of new features to the DaCast platform next year. Are you interested in accessing these features via DaCast video hosting and live streaming solutions? We offer a 30-day free trial of our service. No credit card required to sign up! Click the button below to start your free trial today. Any questions, comments, or ideas? Let us know in the comments section! We love to hear from our readers and we do our best to respond. 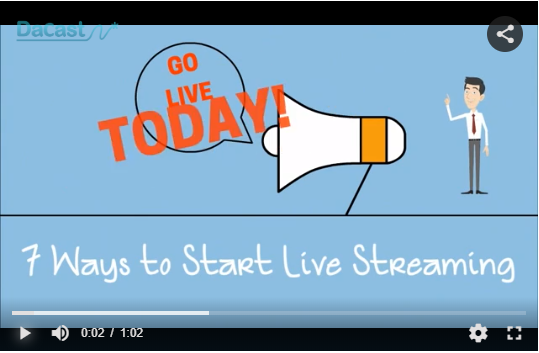 For regular live streaming tips, as well as exclusive offers, you’re invited to join our LinkedIn group. Thanks for reading, happy new year, and good luck with your live streams!